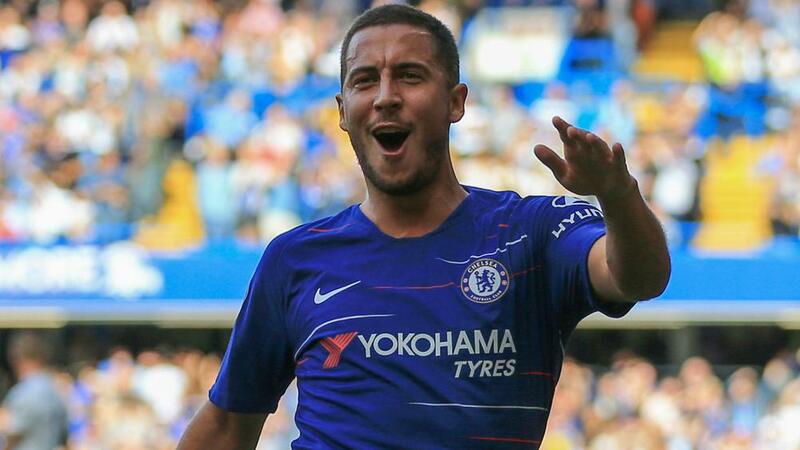 He has started the season in superb form and Chelsea boss Maurizio Sarri believes there is more to come from Eden Hazard. Eden Hazard still has room for improvement and could become one of the world's best players, according to Chelsea manager Maurizio Sarri. The Belgian has started the season in blistering form, netting a stunning EFL Cup winner against Liverpool and leading the Premier League scoring charts with seven goals in eight appearances. He gave Blues fans cause for concern earlier this week when he once again hinted at a possible move to Real Madrid, though he insisted that would not happen in January. The 27-year-old remains a Chelsea player for now and Sarri believes Hazard can become even more productive and continue his rise to the summit of the game. "Hazard is immense and I don't think even he knows how much he can still improve," the Italian told Corriere dello Sport. "I said he could end up in the tight circle of the best three or four players in the world. "The problem is he plays to enjoy himself and at times doesn't realise the importance of moving from fun to reaping the rewards. At the end of the day, you've got to get the fruits of your labour. "Hazard's approach is a positive, but it can become a potential limitation too. He needs to lift his head up, look around and realise there's a whole world in front of him that he can dictate with his feet for the good of the collective and not just the individual." Unfazed by Hazard's latest flirtation with Madrid, Sarri insists his star man is going nowhere, adding: "His contract expires in 2020, but he's staying here."